Beyond the elegant homes, Lake Providence offers many resort-style amenities and social activities. The 24,000 square-foot clubhouse is the heart of the community’s social and recreational amenities. Located in Mt. Juliet, just outside of Nashville, Lake Providence is a Del Webb community which welcomes residents aged 50+. Highlights of this community include a spacious clubhouse which overlooks a 15-acre lake, upscale homes, and over 80 different social clubs. As the most experienced active adult community developer in the country, Del Webb knows how to design homes for older adults. At Lake Providence, Del Webb offers both single-family homes and attached townhomes in a variety of floor plans, including the new Dunwoody Way model. Homes within the community feature many desirable elements such as gourmet kitchens, breakfast nooks, spacious master bedroom suites, formal dining rooms, and beautiful lanais. 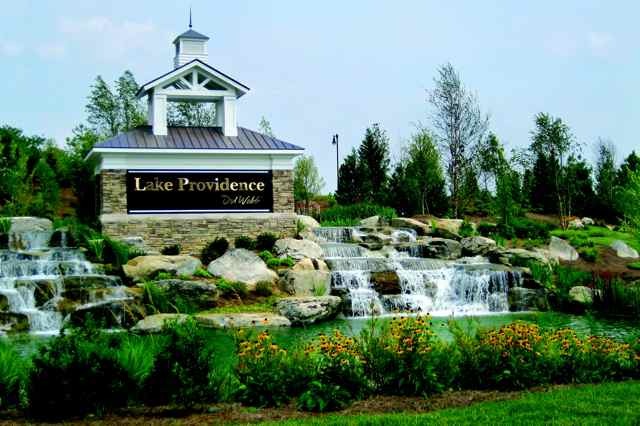 Del Webb began construction of Lake Providence in 2006 and, upon completion, will contain a total of 1,069 homes. Today, homebuyers can choose from available resale or new construction homes. These thoughtfully-designed residences begin with 1,244 square-foot, two-bedroom floor plans. The largest of the homes are over 2,500 square feet and include three bedrooms and three-and-a-half bathrooms. Beyond the elegant homes, Lake Providence offers many resort-style amenities and social activities. The 24,000 square-foot clubhouse is the heart of the community’s social and recreational amenities. Here residents will enjoy the state-of-the-art fitness center with its indoor lap pool, walking track, and separate aerobics studio. There are hobby and game rooms, an arts and crafts studio and a multipurpose ballroom for community events. 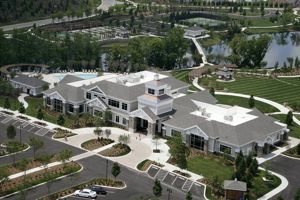 The 24,000 square-foot clubhouse is the focal point of activity in Lake Providence. Outdoors, the amenities continue with an outdoor amphitheater, a resort-style swimming pool, a picnic area and five miles of walking and biking trails. Sports courts support a variety of different recreations including tennis, pickleball, bocce ball, and basketball, and there is also a playground for visiting grandkids. Of course, the community’s main outdoor attraction is the 15-acre lake. In addition to its scenic beauty, this large lake provides several recreations. The lake is fully-stocked for resident fishermen, and outdoor enthusiasts can enjoy canoeing and kayaking on its calm waters. Lake Providence residents have plenty of options for socializing, including community events, recreations, and special interest clubs. There are so many social clubs at Lake Providence that every resident will be able to find an appealing group. Just a few of the social clubs available are the Art Club, the Breakfast Club, the Book Club, the Chick Flick Group, the Civil War Club, Del Webb Singers, the Kiwanis Club, the Neighborhood Watch, and the Red Hat Club. The beautiful Lake Providence community is an appealing destination for active adults in the Nashville area. It features the same resort-style amenities as many other Del Webb communities, but with the addition of its spectacular 15-acre lake.